A man walks into an auction house and says, "I'd like to consign this painting ." The appraiser says, "How much do you think it's worth?" The clueless man says,"I think about $500.00"
Turns out after it was appraised, it was discovered that the portrait was a lost Diego Velázquez. Diego Velázquez was a Spanish master, considered one of the great Baroque style painters; who painted for the royal Spanish court in the 17th C. It sold at Bonhams auction house for $4.7 million dollars and was still considered a steal. The moral of the story is, "When in doubt, get it appraised"
You have read this article appraisal / auction house / master painter with the title No Joke~ Lost Velázquez Found. 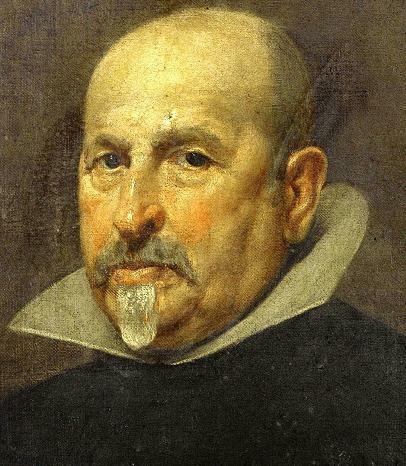 You can bookmark this page URL http://ourpicturewindow.blogspot.com/2012/03/no-joke-lost-velazquez-found.html. Thanks! No comment for "No Joke~ Lost Velázquez Found"